In case you are wondering.....or have missed me.... I have been very quiet over here, with nary a post for some time. This corner has been a bit like winter, seeming still and gray, yet beneath the surface the waters flow and great movement is taking place. My time and energy has been focused on Celebrating the Rhythm of Life with Children, Caring for Children in March Guide and like the maple trees, the sap is rising with my new project, The Wonder of Childhood. 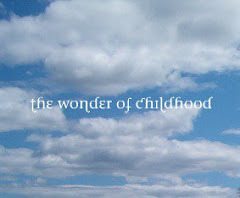 The Wonder of Childhood is a monthly online publication devoted to questions and topics around parenting, Waldorf education, nourishment and living. Columnist from many walks of life and from all over have come together to contribute to this endeavor. We spotlight a Waldorf early childhood program each month and bring you a glimpse inside. We'll go through aspects of the Waldorf curriculum over the coming year beginning with Grade One and extend across the curriculum to delve into handwork, games and movement, family reading. Our book review will focus on a book that is relevant to the grade we are exploring that month. 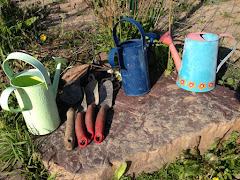 We have a very special column in which a homeschooling mom shares her journey of Waldorf homeschooling and how she came to it, what supports the work and a glimpse into what that looks like. No work is complete with some food and emphasis on the role good eating plays in life. We have a columnist whose work is all about food and health. We have columns on luscious lunches and family suppers. We'll look at truth, beauty abd goodness in the lunchbox. Thank you for your patience and stayed tuned for launch date and launch site. I really enjoyed the last month's content, Lisa. Thank you for the work you put into it. Sounds awesome!! I can't wait to read it!! Sounds wonderful! I'm looking forward to reading! Lisa, thank you for all you share with us. All sounds so wonderful. Your new project sounds wonderful, looking forward to the beauty and wisdom you share!